Some 1,000 complaints received at party headquarters regarding failures in the voting process in the elections. The New Right party demanded on Thursday evening that the chairman of the Central Elections Committee, Judge Hanan Melcer, not publish at midnight the results of the soldiers' votes and the double envelopes in the Knesset elections. Over the course of the day, some 1,000 complaints were received at the party headquarters regarding failures in the voting process in the elections, both at polling stations throughout the country and in the votes of the soldiers. "There are huge irregularities here, we will fight to the last vote," the party said. "In addition, there are discrepancies between the results at the polls and the data supplied by the Elections Committee," added UTJ. The party said that if the request is not accepted, "the party will take all possible legal steps to rectify what needs to be corrected." 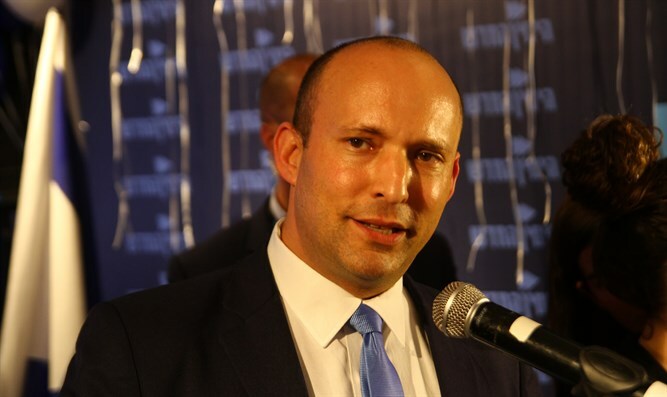 Earlier, Judge Melcer announced that the results of the elections for the 21st Knesset would be published by midnight, adding there may be changes in the results later on. "Certain changes can still take place as a result of the control procedures that we are undertaking. The election committee's control teams identified this morning a technical malfunction that emerged from the export interface that transfers the double envelope data from the core system of the Elections Committee to the website," he explained. "I would like to emphasize that no fault has been discovered in the isolated core system from the Internet or in the counting of the votes of the voters. The data that will appear at midnight on our website are real and they will be presented to the President in my conversations with him,” continued Melcer. "I would like to emphasize that during the entire day I was in constant contact with security officials who confirmed that there was no information linking the problem to cyber events. Security officials did not identify any foreign attack. I thank them for their activities today and during the entire election campaign,” he concluded.